Lowes: "I want to be fighting for podiums every weekend"
Heading to Thailand for Round Two of the MOTUL FIM Superbike World Championship, podium results are the target for the Pata Yamaha Official WorldSBK Team this weekend. With a mixed bag of results in the opening round in Australia, Alex Lowes and Michael van der Mark are hoping to put up a stronger fight in the Asian heat. 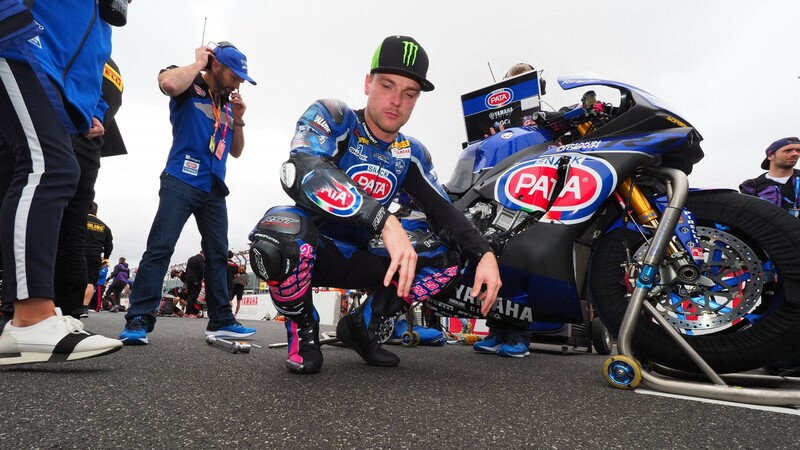 British rider Lowes enjoys the 4.5km circuit full of sweeping corners and long straights, noting the two different parts of the track – a simple first half and technical second half. Already understanding what he need to focus on with the set-up of his YZF-R1, he has set his sights on taking a trophy home from Chang International Circuit this year. Securing a podium here in 2015’s race two, Lowes has a strong history to help build his confidence: "Thailand is a race that I really enjoy. The track has quite a simple layout in the first half and is more flowing with some technical sections in the second half of the lap. The most important thing in terms of setup is getting the bike stopped, so this is an area I'll be focusing on in free practice. Overall, round one was solid but I want to be fighting for podiums every weekend, so this is my target for Buriram. I'm ready to go!" Dutch team-mate Michael van der Mark also has a strong history here, with some happy memories. Taking pole position in 2016, and a podium in race one that same season the 25 year old is keen to improve on his overall results of Phillip Island three weeks ago. With two top nine finishes, he explains he still had a good overall pace and looks forward to showing this out on track for the MOTUL Thai Round: "I am really looking forward to Round 2 in Thailand. For sure, if you just look at my results, Phillip Island was disappointing but we took a lot of positives from the weekend and I am sure that we will be a lot stronger here in Thailand. I really like riding in Thailand and enjoy the Buriram circuit a lot. We have been working really hard in-between rounds to make sure we can hit the ground running on Friday morning and we will be giving it our all to secure the best possible results this weekend!" Follow the Yamaha team-mates progress throughout the three days at Buriram, all with the WorldSBK VideoPass. Lowes: "I had quite a lot of experience with the tyre from Friday"
Van der Mark: "I had some problems with shifting on the bike"